ICV had crews in the Nations Capital for 3 concurrent events. There is a growing demand for us to produce multiple events at the same time. We have been able to start planning events earlier in the process with our clients to make best use of the venue and the presenters and attendees time. We are able to create a streamlined webcasting process and coordinate with the clients' marketing or internal scheduling staff to make best use all of the assets and human resources that are involved. This approach allows for cost savings for the client and creates opportunities for the client to cross market, and gain visibility. Attendees can network with a wider group as well as possibly purchase or attend multiple events. Here we are at the Health Insurance Exchange Summit. Live webcasting from multiple rooms including audio and video breakouts with synchronized slides. Live webcasting for e-learning ICV was on the east coast for a few weeks. We produced 4 webcasts in DC and Boston then down to St Louis. Webcasting for CME credit e-learning webinars. Our Media Portal which is a custom development of our own built and maintained by us to be supremely flexible. We use it not only as the environment for our live webcasting, but also for our clients that need archive, on-demand access to all of their webcast video content. The LMS aspect of our Media Portal allows our clients to manage users and their access, to build courses using video content documents, PowerPoint presentations and any external assets such as Adobe Connect presentations as well as create bundles for sale or sharing. 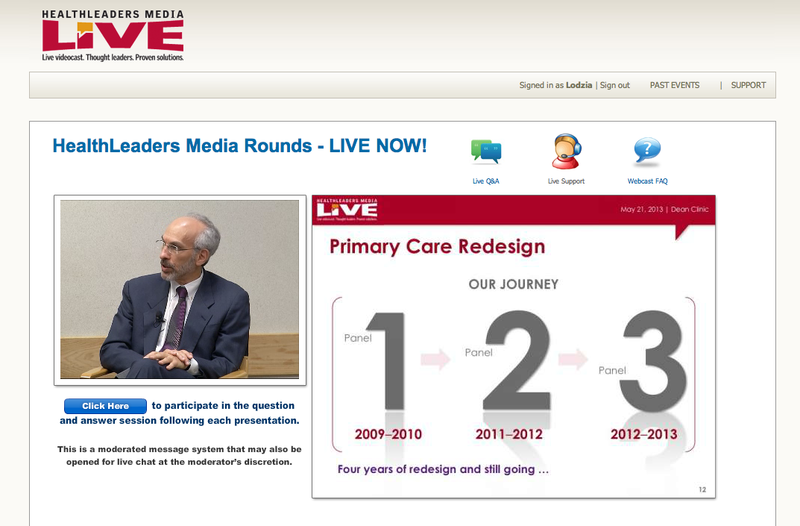 Our Webcasting includes synchronized slides with the video both live and archived.